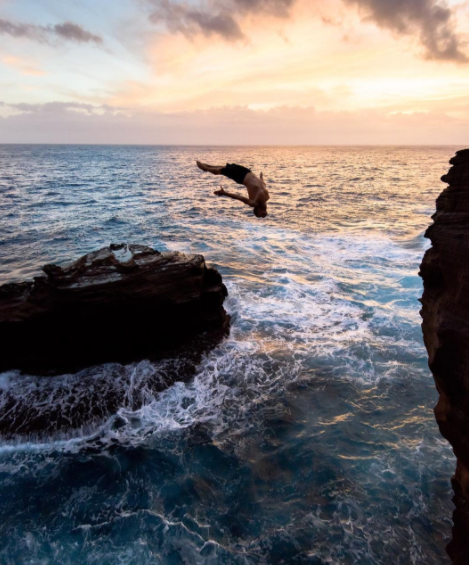 Details: The "Leap of Faith" cliff dive just southwest of the Hanauma Bay Nature Preserve is the gnarliest cliff dive on Oahu. Not only is the dive 80+ft, these east facing cliffs endure some of the roughest swells. This is NOT the place to go if youre an inexperienced diver or swimmer. If you're looking for a similar challenge, check out Spitting Caves right around the corner.